do you want to Teach learner yourself ? Do you need dual control car? carry their driver licence at all times when supervising driving. make sure L plates are displayed on the front and back of the vehicle the new driver will be driving. Once you've learnt the basic skills of driving a car, you need to practise and this has been designed to help you and your driving coach (your supervisor) while you are learning to drive. It can be used in conjunction with lessons from an approved driving instructor. The series of 30 lessons are designed to help your driving coach teach you the skills you need to drive safely. 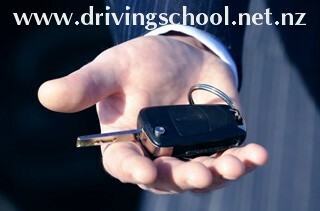 As well as being taught by a coach, you may also want to have some lessons with a driving instructor. Because these lessons cover the same material as the lessons used by approved driving instructors, you could choose to have some of the lessons with the driving instructor and work with your coach on the others. You may find this approach useful in the early stages of learning to drive, as many driving instructors use vehicles with dual controls that enable the instructor to take control of the vehicle if necessary. And if you are ever in doubt about any aspect of your driving, it's a good idea to discuss it with an approved driving instructor. Each lesson in this page breaks down a driving task into smaller parts and includes a checklist that your coach can tick when they have seen you performing each specific skill. The lessons start with easier driving skills and move on to more complex situations. Because each section builds on skills covered in the previous sections, it is best to do them in order. You can repeat each section until you feel you have mastered all the skills in it. It's a good idea to begin driving on roads without much traffic. Once you are used to driving and how the vehicle works, you can move to roads with more traffic. The best way to get lots of driving practice is to drive your coach around as often as you can – not just when you have ‘lessons', but whenever you are driving somewhere, such as to the supermarket. Research shows that the more practice a new driver has, the less likely they are to crash once they start driving alone. You should aim for 120 hours of supervised driving before you get your restricted licence. To help you make sure you get enough practice driving, a driving log has been included at the end of this section so you can log all the hours you have spent driving. Use this table to record the number of hours you spend driving. Fill it out every time you drive. As well as including training sessions with your coach and any formal driving lessons you have with a driving instructor, you should also include any time you spend driving with a supervisor. When you complete a column, add it up. When you complete the table, add up all the columns. You should aim to get at least 120 hours of supervised driving practice before you apply to sit your restricted licence practical driving test.